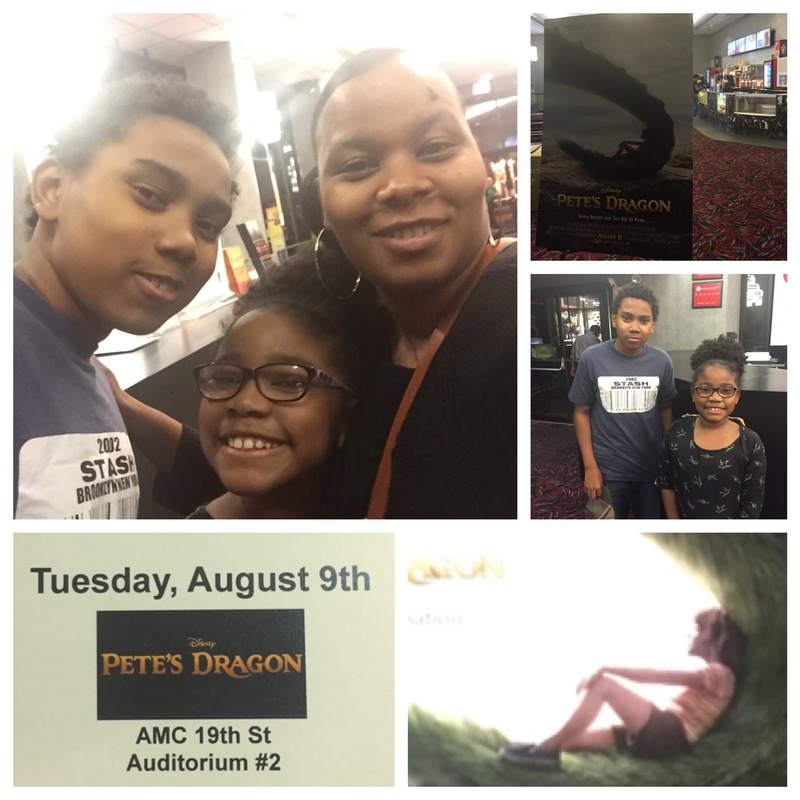 I took the kids to an advance screening of Pete’s Dragon courtesy of Disney and we absolutely loved it. We attend lots of movies and Disney always catches my heart. Not only did my daughter and I cry I also had goose bumps. You know when you can feel something about to happen in a scene and then it happens and you say, I knew that was gonna happen. That’s how I was. I never saw the original but now I think it’s time to find it and buy a copy so we can see the difference. I’m glad this wasn’t animated. Love animated films but this was good just the way it was. The cast was amazing and Pete played by Oakes Fegley was wonderful. It was also good to see Robert Redford in this movie. Why can’t Elliot the dragon be real? At least he can disappear and camouflage into different things. Did I mention my daughter wants one? If I had the space I wouldn’t mind having him too. Just saying. Pete’s Dragon is in theaters today. Every child can handle things different so I suggest parents to see the trailer first. My kids are ages 9 and 13 and they had no problems. We saw it in 3D. Here’s a Synopsis: A reimagining of Disney’s cherished family film, “Pete’s Dragon” is the adventure of an orphaned boy named Pete and his best friend Elliot, who just so happens to be a dragon. “Pete’s Dragon” stars Bryce Dallas Howard (“Jurassic World”), Oakes Fegley (“This is Where I Leave You”), Wes Bentley (“The Hunger Games”), Karl Urban (“Star Trek”), Oona Laurence (“Southpaw”), Isiah Whitlock, Jr. (“Cedar Rapids”) and Oscar® winner Robert Redford (“Captain America: The Winter Soldier”). The film, which is directed by David Lowery (“Ain’t Them Bodies Saints”), is written by Lowery & Toby Halbrooks based on a screenplay by Malcolm Marmorstein and produced by Jim Whitaker (“The Finest Hours,” “Friday Night Lights”), with Barrie M. Osborne (“The Lord of the Rings: The Fellowship of the Ring,” “The Great Gatsby”) serving as executive producer. For years, old wood carver Mr. Meacham (Robert Redford) has delighted local children with his tales of the fierce dragon that resides deep in the woods of the Pacific Northwest. To his daughter, Grace (Bryce Dallas Howard), who works as a forest ranger, these stories are little more than tall tales…until she meets Pete (Oakes Fegley). Pete is a mysterious 10-year-old with no family and no home who claims to live in the woods with a giant, green dragon named Elliot. And from Pete’s descriptions, Elliot seems remarkably similar to the dragon from Mr. Meacham’s stories. With the help of Natalie (Oona Laurence), an 11-yearold girl whose father Jack (Wes Bentley) owns the local lumber mill, Grace sets out to determine where Pete came from, where he belongs, and the truth about this dragon. Disney’s “Pete’s Dragon” opens in U.S. theaters today August 12, 2016. Disclosure: My family and I were invited to this screening. Opinions are our own 100% as always. Categories Family, Home, Kids, Movie Reviews /Screenings, Reviews, What's Going On?